In recent years, textile-based electronics (e-textiles), as new-fashioned wearable devices, have drawn surging attentions in applications such as artificial skins, motion detection, and health monitoring systems since they can perfectly combine the functionality of wearable electronics with the soft and comfort properties of clothing. 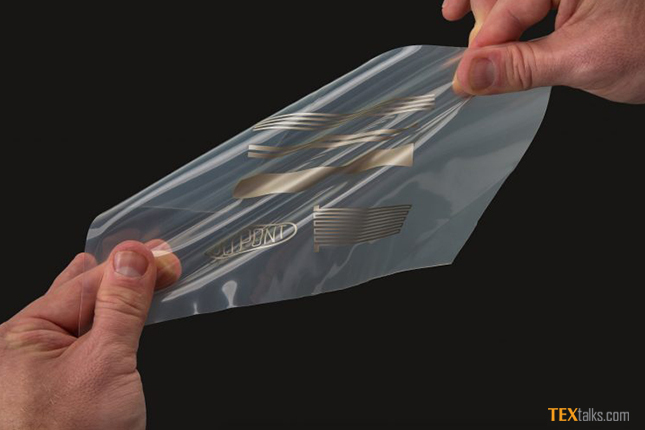 Till date, highly sensitive textile-based pressure sensors and highly stretchable textile-based strain sensors are widely researched for wearable devices. Nevertheless, in addition to high sensitivity and stretchability, an ideal wearable sensor should have the ability to feel multiple mechanical stimuli such as both physical pressure and lateral strain, as it allows full-range detection of human motions (i.e., subtle vibration and large strain) just like human skin. Unfortunately, almost all the above reported textile-based sensors or e-textiles can only detect pressure or strain unilaterally, thus it is necessary to develop humanoid e-textiles simultaneously satisfy high stretchability, high sensitivity, and multiple sensing abilities. On the other hand, compared to traditional planar e-textiles, fiber-shaped e-textiles have the consolidated advantages of both fibers and sensors due to their fibrous architecture with lightweight, portable, skin compliant, and easily weave properties, which therefore make fiber-shaped e-textiles the optimal wearable devices in the future. In a recent paper published in Journal of Materials Science, researchers from the South China University of Technology at China reported the creation of an innovative fiber-shaped e-textile by knitting hierarchical polyurethane (PU) fibers and then applying a coating of silver nanowires (AgNWs) and styrene butadiene styrene block polymer (SBS). Due to the coating of AgNWs, the e-textile has a high initial conductivity, which is conducive for operation under lower voltage conditions. Because of the natural stretchability of PU fibers and textile-based structures, the as-prepared e-textiles perform a high stretchability of 140% and a high tensile sensitivity (Gauge factor = 10.3 under strain of 2%-60%, 6.3 under strain of 60%-140%). In addition, the special hierarchical structures (i.e., a hierarchical structure composed of plentiful micro-scale PU fibers) of the e-textiles allow the wearable sensor a quick response to external pressure (response time of 13 ms & relax time of 53 ms) and a high-pressure sensitivity (0.20 kPa-1). Due to the textile-based structures and hierarchical fibers, the e-textile exhibits good capability of detecting multiple deformations including tensile strain and pressure, which enables their full-range detection of human motions. The high stretchability, high sensitivity, and fast responses also make the e-textiles further applied in health monitoring such as pulse beating detection, scoliosis correcting, and restless legs syndrome (RLS) diagnosing. Furthermore, the e-textile’s fibrous architecture endows the e-textiles being weaved into electronic fabric, and the sensing mechanism is further researched, after that the electronic fabric can be successfully used to map force distribution and pressure was demonstrated. Therefore, with the fiber-shaped characters, textile-based structures, and hierarchical fiber layout, the e-textiles show huge potentials in diverse wearable and smart devices in future. The work is led by Prof. Lan Liu and her Ph.D. student Song Chen at the South China University of Technology in China. The study, highly stretchable fiber-shaped e-textiles for strain/pressure sensing, full-range human motions detection, health monitoring, and 2D force mapping was recently published in the Journal of Materials Science.